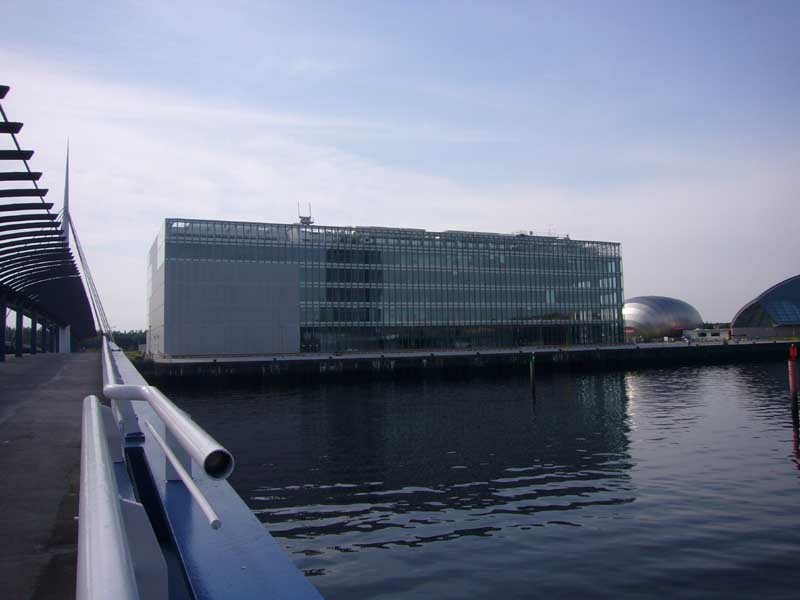 This £72m BBC Scotland project on the River Clyde in Glasgow was designed by David Chipperfield Architects but Keppie Architects took control in late 2004, in a similar way to the Ocean terminal in Edinburgh (Keppie from Conran & Partners). 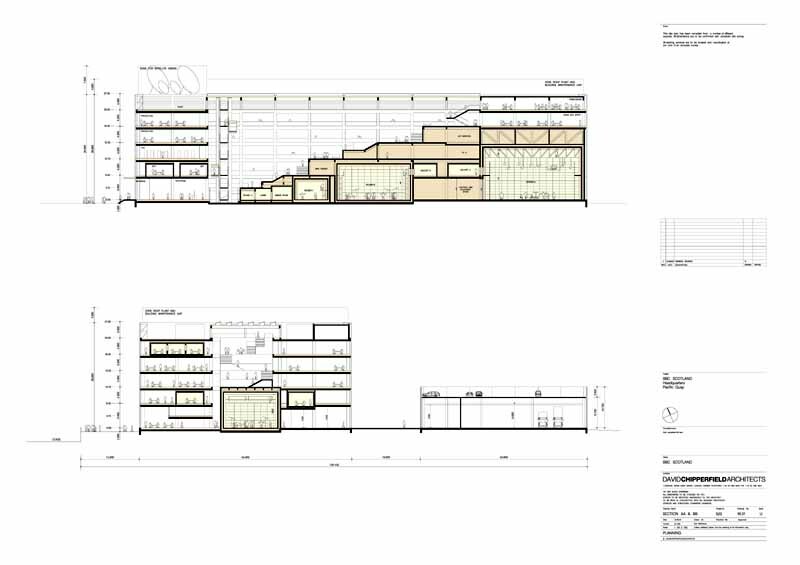 David Chipperfield reportedly concerned re control of details. Official opening 20 Sep 2007. 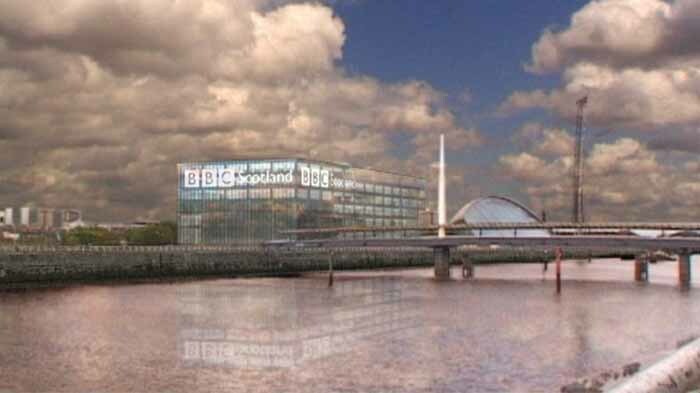 BBC Scotland today (19 Dec 2003) announced that it had submitted planning application to Glasgow City Council for its site at Pacific Quay on the south bank of the River Clyde, Glasgow. 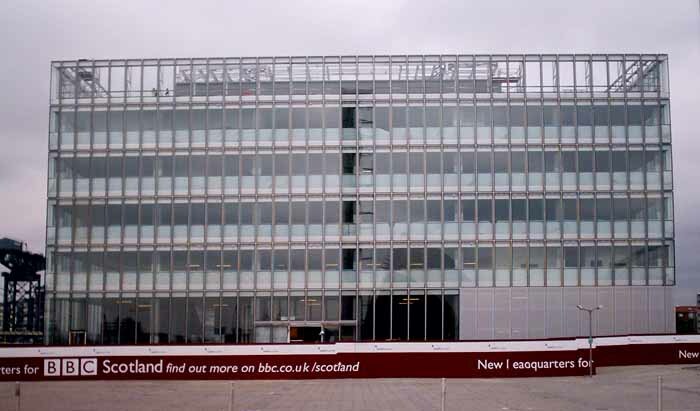 The project will create the first purpose built BBC digital headquarters, providing accommodation and facilities for around 1200 staff in the west of Scotland. The new BBC Scotland complex will include public spaces and amenities designed to make the BBC more accessible and welcoming to visitors. 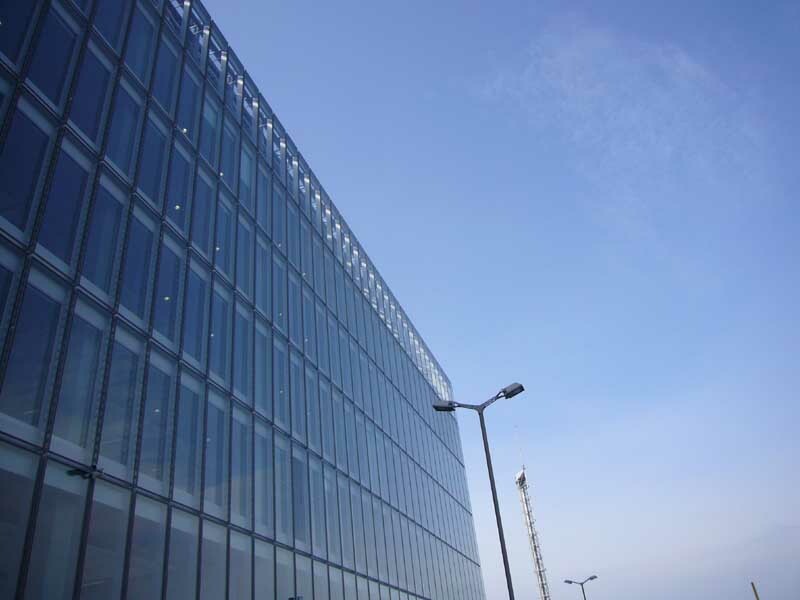 Digitally equipped for national and international radio, television and interactive, the 32500sq metre new scottish HQ, which is due to be completed in 2007, will place BBC Scotland at the heart of unique urban media community of broadcasting and digital media production companies. 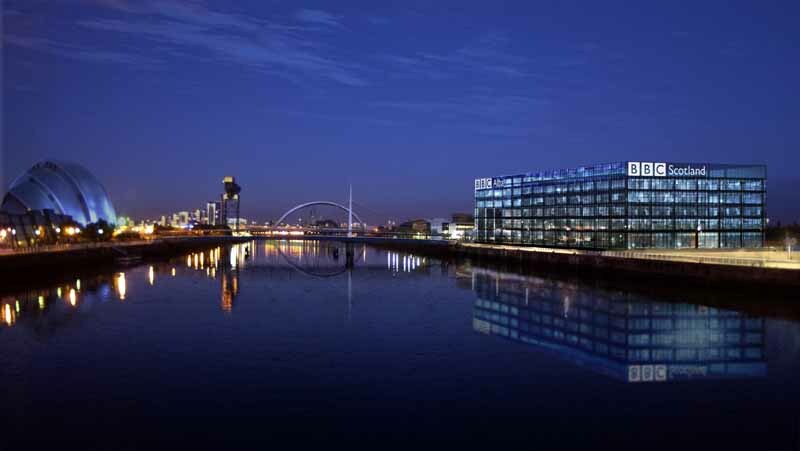 The BBC Scotland HQ building, by leading international architect, David Chipperfield and his team, will display a significant presence within the Pacific Quay framework. The remarkable glass façade will ensure that the perspective of the building will change throughout the day, season and viewpoint. 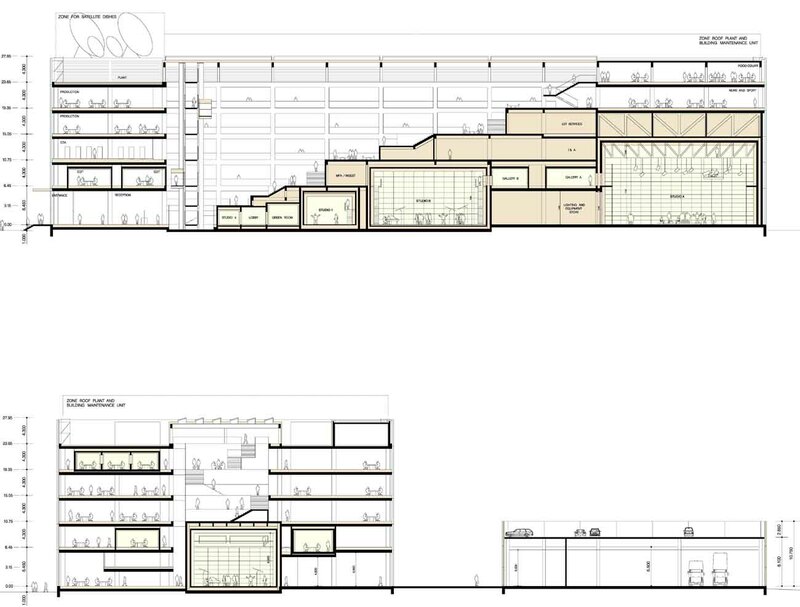 A defining feature will be an internal, stepped ‘street’ that will rise throughout the entire length of the design, providing break-out spaces and informal meeting areas, as well as offering visitors a dramatic view of BBC Scotland at work. This is David Chipperfield’s first major building in Scotland. 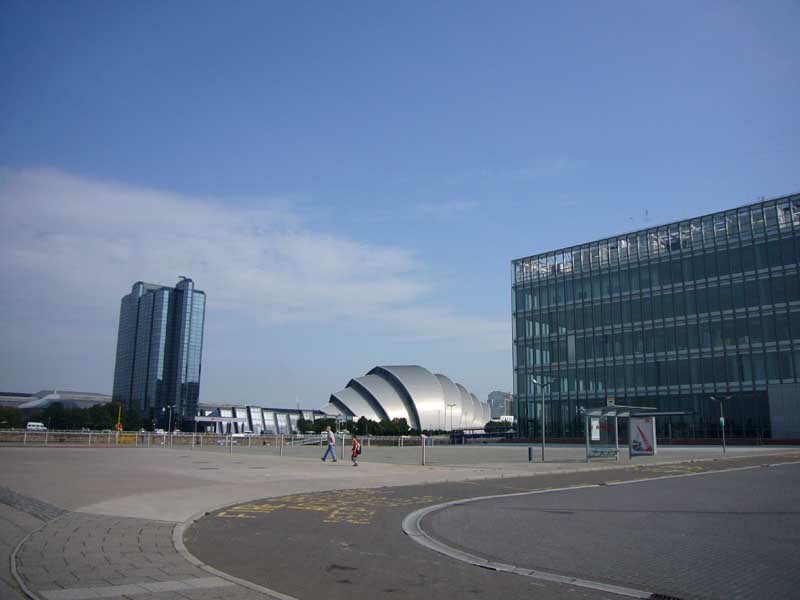 It is hoped that the new BBC Scotland headquarters building will become a focal point for the continued development and regeneration of Pacific Quay. 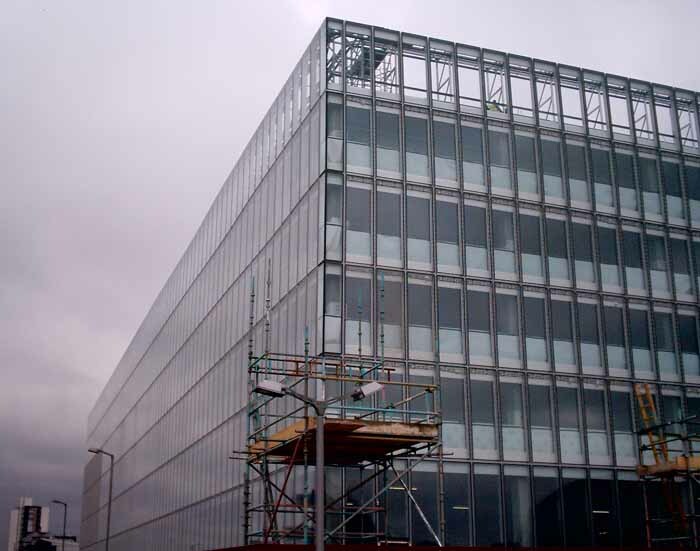 The 60-acre site is currently undergoing a huge transformation and already houses the Glasgow Science Centre, IMAX Cinema, Scottish Criminal Records Office and the Millennium Tower. 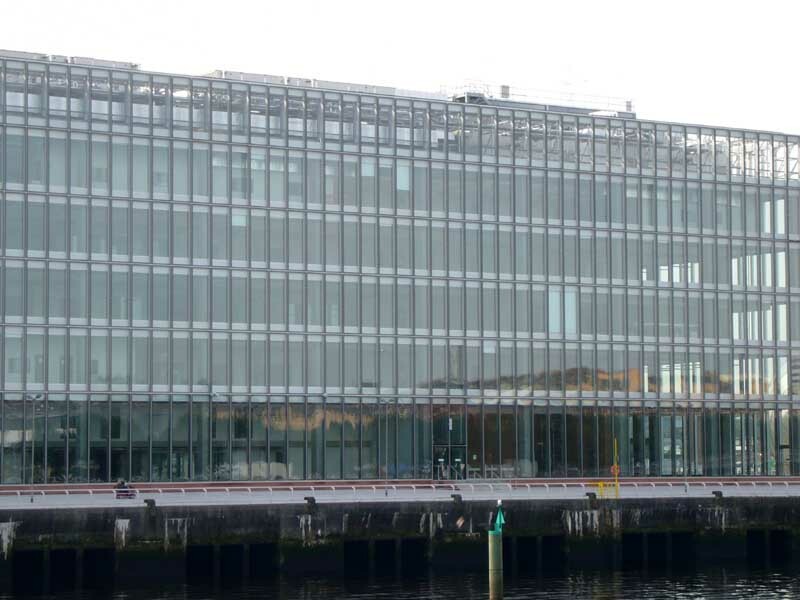 In line with its strategy to direct more money into programme making, BBC Scotland plans to source funding by raising the finance through a Bond Issue. This will enable the development to be undertaken at no additional cost to the licence fee payer. 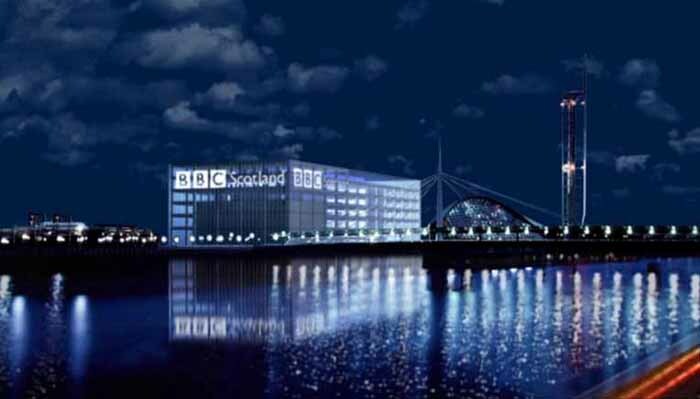 BBC Scotland’s Planning submission will now be considered by Glasgow City Council, alongside consultation with public bodies such as the local community councils, the public utility companies and the Council’s own Highways Department. Members of the public may inspect the application at the Council’s offices over the next 16 weeks. 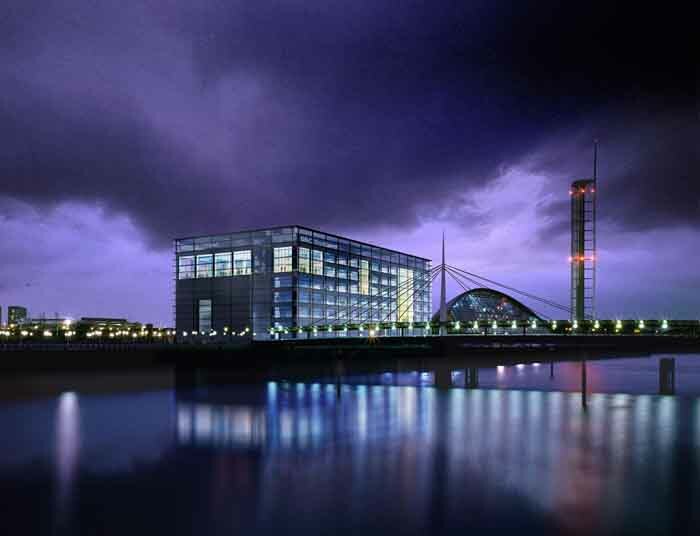 BBC Scotland will also continue to work in partnership with Pacific Quay Developments, Scottish Enterprise and Glasgow Science Centre to progress the development of a new masterplan for Pacific Quay. David Chipperfield Architects (DCA) was founded in 1984, David Chipperfield Architects is an internationally renowned practice with offices in London, Berlin and New York. 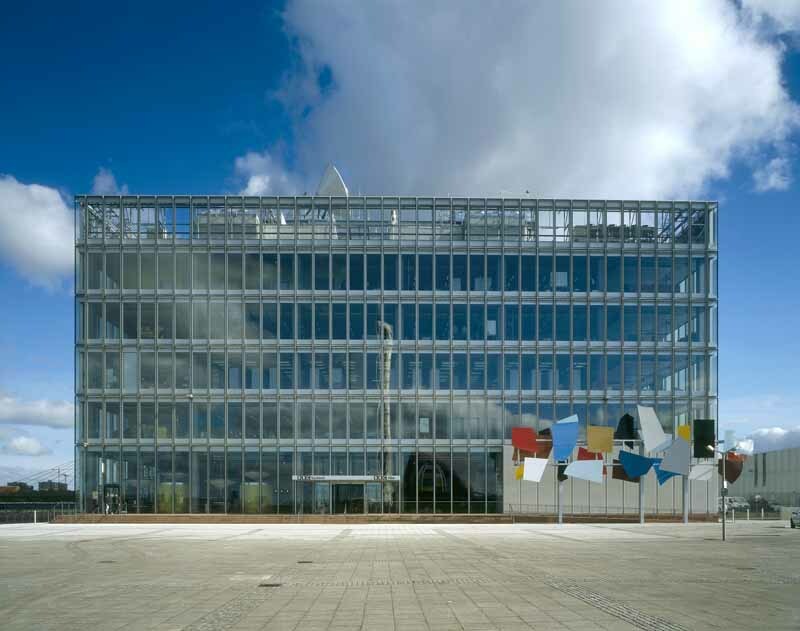 The business has extensive architectural experience across a widely varied portfolio from museums, galleries, private houses to retail spaces and offices. Principal David Chipperfield Architects projects since the practice’s inception include: River & Rowing Museum, Henley; British Film Institute London; Wagamama London; Joseph London; Circus Restaurant, London; Knight House, Richmond London; Gormley Studio, London; Vitra Showroom, London; Hugh Lane Gallery, Dublin; Museum Island Masterplan, Berlin; Neues Museum, Berlin; New Entrance Building, Berlin; Kaistrasse Studios, Düsseldorf; Ernsting Service Centre, Coesfeld-Lette; Ansaldo ‘City of Cultures’, Milan; Pasquale Bruni Showroom, Milan; Palace of Justice, Salerno; San Michele Cemetery Extension, Venice; Palace of Justice, Barcelona; Bryant Park Hotel, New York; Lever House, New York; Shore Club Hotel, Miami and many shops around the world for Dolce & Gabbana. 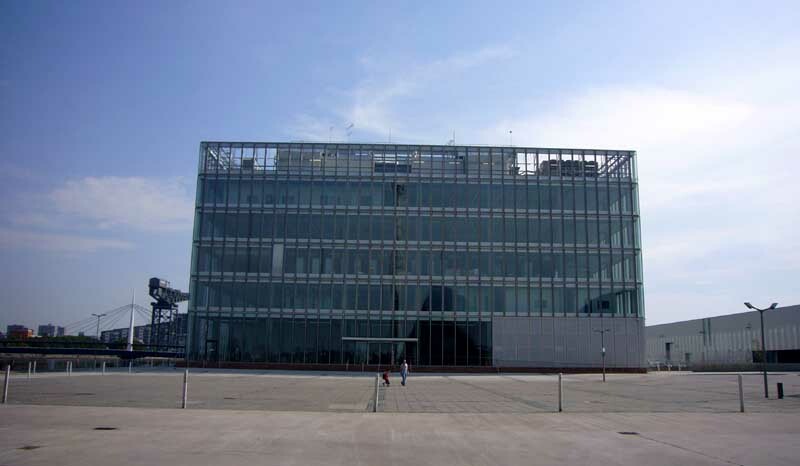 They have also completed a number of projects in Japan, including the Matsumoto Corporation Headquarters, Okayama; Gotoh Museum, Tokyo and Toyota Auto, Kyoto. DCA has won over 20 national and international competitions and many international awards and citations for design excellence, including RIBA, RFAC and AIA awards and the Andrea Palladio Prize. In 1999, David Chipperfield was awarded the Tessenow Gold Medal. The BBC is now seeking to reaffirm the highest standards of architecture and design in its buildings. 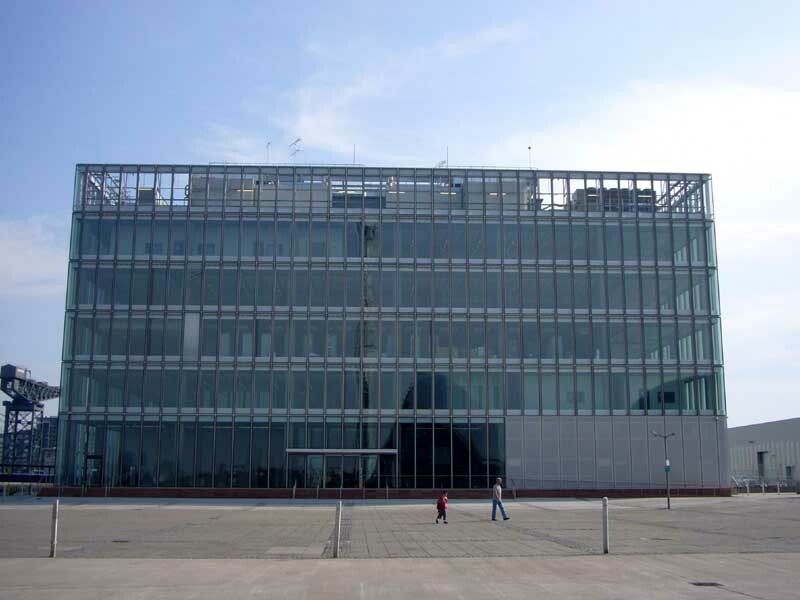 Val Myer’s Broadcasting House was enthusiastically received in 1932 and the BBC recognised that its new building had to encapsulate the sense of adventure at the dawn of a new age in broadcasting, and it needed the best architects and artists to achieve that aim in producing this gem of the age. Eric Gill, Serge Chermayeff, Wells Coates and Raymond McGrath were all involved. There are only a few other examples of good architecture in the BBC’s 500-building property estate and most of the buildings are in need of heavy investment to bring them up to date. The BBC has now embarked upon an ambitious, large-scale property strategy. This includes bases being established in the Michael Hopkins’ Forum building in Norwich, in the Mailbox shopping centre in Birmingham, and in MacCormac Jamieson Prichard’s Priory Place in Coventry. In London, the BBC’s operations will be focused on three sites: Broadcasting House, White City and Television Centre. 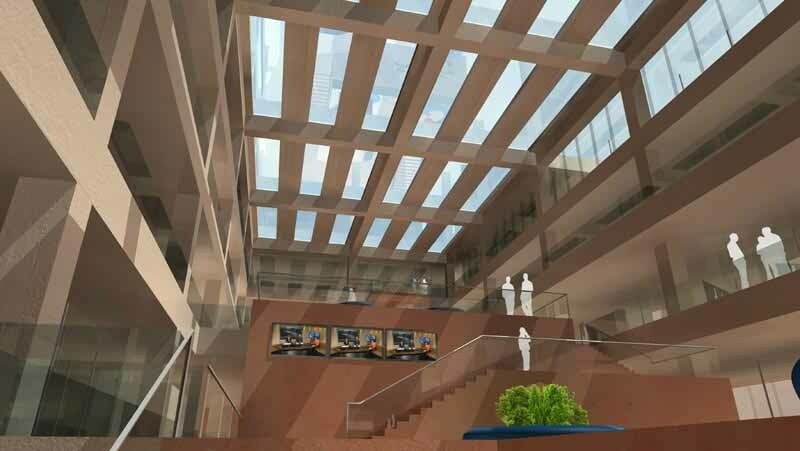 The Broadcasting House redevelopment, designed by Sir Richard MacCormac, will house the entire network radio and news operation together with the BBC World Service. 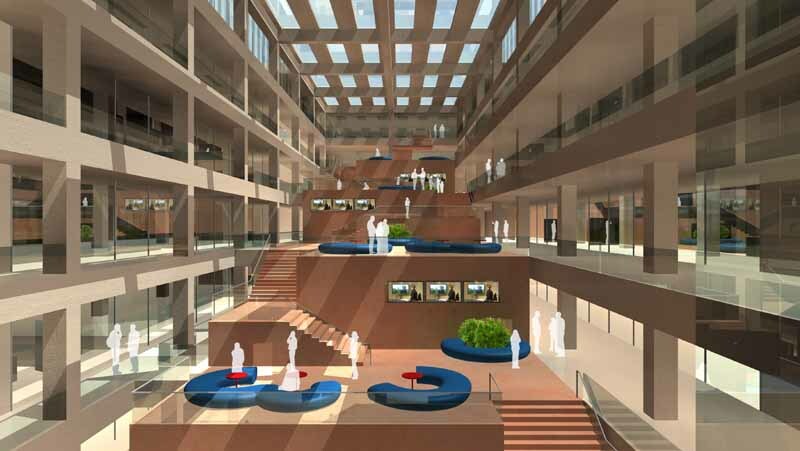 Television Centre will be returned to its original use as a BBC TV programme production centre, and White City, planned by Allies and Morrison, will take on a new life as a vibrant media village. These developments are all designed by world leading architects. 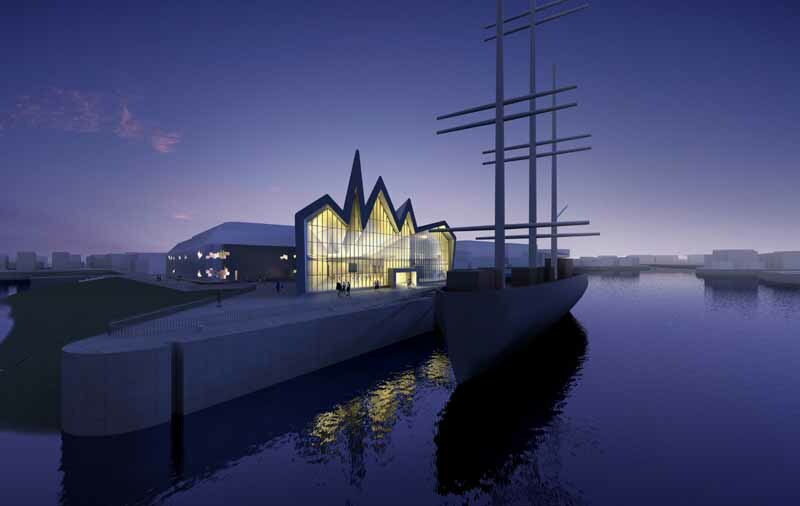 This major scottish project was won through an Architecture Competition. 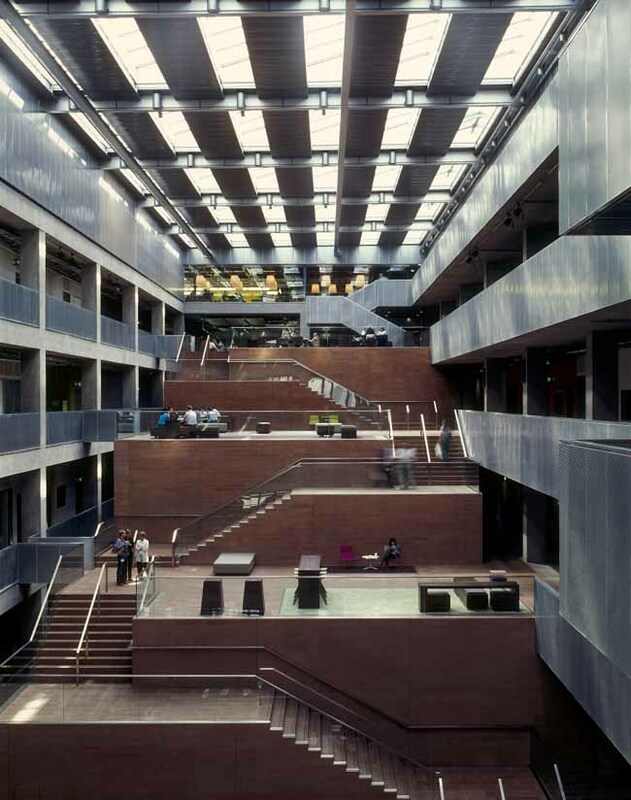 Richard Rogers Partnership and Allan Murray Architects were critical of the competition having not won due to the issue of copyright being retained by BBC Scotland.